Disaster Falls chronicles the aftermath of that day and their shared determination to stay true to Alison's resolution. 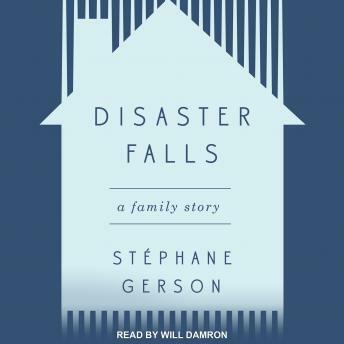 Gerson captures the different ways of grieving that threatened to isolate each of them in their post-Owen worlds and then, with beautiful specificity, shows how he and Alison preserved and reconfigured their marriage from within. Blending family history (including the 'good death' of his father, which offers a very different perspective on mortality) and the natural history of the river, he provides an expansive, unflinching meditation on loss, our responsibilities toward our children, and the stories we tell ourselves in the wake of traumatic events.